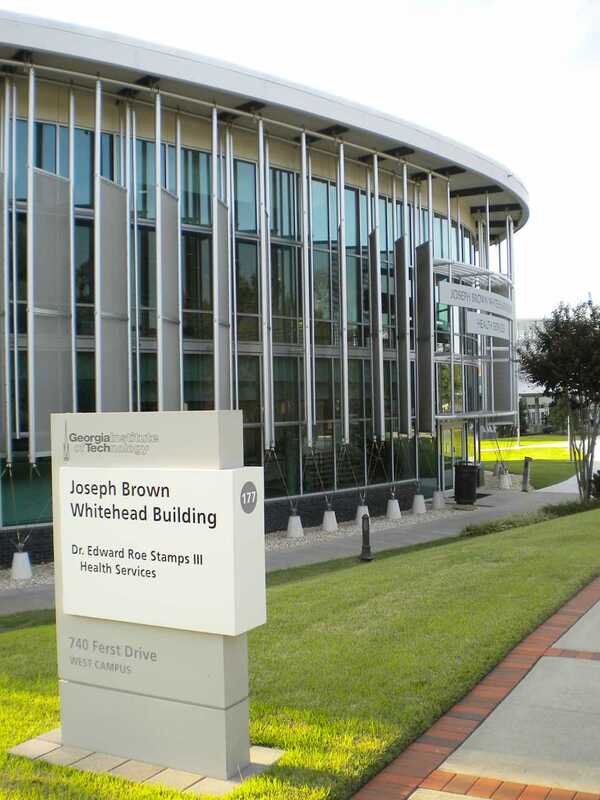 Photo by Sho Kitamura / The Joseph Brown Whitehead Building is the home of Stamps Health Services. The health fee seeks to better this service. A six dollar increase to the mandatory student health fee may be underway for next year. The Mandatory Student Fee Advisory Committee (MSFAC) recently recommended this increase, pending approval from the Institute President G.P. “Bud” Peterson soon and by the Board of Regents in April before its final implementation. The student health fee, which currently requires the majority of the student body taking more than four credit hours to pay $154 each semester, helps pay for most costs incurred by students when they visit Stamps Health Services. Compared to peer institutions, the fee is lower than Stanford’s health fee of $251 and UGA’s health fee of $191. In addition, the health fee has increased 4.3 percent over the last 10 years, a smaller increase than any of the other mandatory student fees. According to Moore’s presentation to MSFAC, the projected total number of appointments for FY2013 is 32,922, which is an increase of over 3,000 appointments made in FY2012. “We…propose to increase appointment availability by building out and staffing a third primary care clinic on the second floor. Doing so will add an additional 100 available appointments per week,” Moore said. The cost of adding another primary care clinic amounts to $500,000. Half of the funds for this investment, according to Moore, will come from this fee increase. The other half will be used from the reserve fund. The Athletic Association also requested a fee increase of six dollars, but was refused in a unanimous vote. In order to gather feedback about student fees from the student body, MSFAC engaged with the Undergraduate House of Representatives and the Graduate Student Senate to gauge student reception to this fee increase. MSFAC also used Reddit to solicit student input.